I was probably one of Amazon.com’s earliest customers when they went online in the 1990’s. I loved the idea that I could order a book for my sister-in-law, and later my nieces in North Carolina and have it delivered right to them, with a gift message from me. However, I was appalled when I read this piece about Amazon asking customers to spy on their competition for them. Are they kidding? Not only are they getting hordes of customers to do their market research for free, but they are further driving the nails into the coffins of small business owners. Small business owners are often residents of the communities in which they do business. Aside from being your neighbors and friends, they are tax payers contributing to your school and local tax base. Not to mention the fact that these small business owners and even the larger brick and mortar book stores pay sales tax to your local county. That revenue supports infrastructure like roads, parks and police. Loss of sales tax revenue affects every aspect of infrastructure; road repair, maintenance to the playground equipment on which your children play, police who protect your family. Empty, abandoned store fronts on your town’s main street do nothing for your property value. 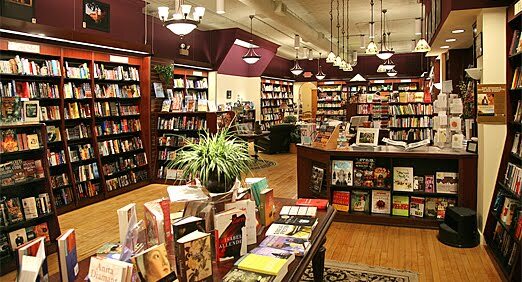 Please do give books as holiday gifts this year, but please go into a brick and mortar bookstore, if it is an indie bookstore, all the better. Support your local merchant, support writers and publishers, protect your own property value, and most of all promote reading!